Article over at Yahoo discussing mandatory gun insurance. Details 7 points, and pretty much concludes that it’s not likely to happen. So why do I mention this? Because the “+1” fact is that I believe the same scenario will play out with firearm insurance. If you live in rural Pennsylvania, you might have to pay a $150/year for your gunsurance. If you happen to live in a neighborhood, or even close to one, in which there is a high level of crime and lots of minorities, rest assured those insurance companies will deny race is at play. But the expect your gunsurance to be $500/year…or more. Thus putting gun ownership outside of the means of many poor and minorities. But after reading the article, it sounds like the range has a good system worked out. You check in with your ID badge. But you also buy drinks with the ID badge. And once you buy a drink, you’re no longer able to shoot on the range that day. SHOOT & DRINK = Okay in my book, sounds like a great time! The fact that the rang is essentially adding a lounge is to me of little concern. Nor is it actually very unusual. There are a number of clubs & venues I’ve seen that have had bar and grill restaurants. So long as the policy is “Shoot first, drink later” I am not very concerned. And it sounds like this range has the logistics worked out to ensure that policy is adhered to. The following post is inspired by a recent comment, which touched upon faith and guns. Always interesting how koincidence works, as Eric Shelton of the Handgun Podcast recently was discussing this issue as well. In fact, a large portion of this post is derived from notes written back in 2008 for a podcast that never happened. Eric Shelton, Kenn Blanchard, Mick McCart & myself had bounced around the idea of doing a show that focused on “faith and guns”. So how do firearms & self-defense fit in within the faith of Christianity? Many will point out the passage in Exodus 20:13 “Thou shalt not kill.” Wouldn’t this alone preclude any role of firearms within the life of a Christian? Of the nearly 50 uses of this word ratsach in the Bible, only five are translated “kill”, most are translated as slayer or murderer. The word can be used for “kill”, but has a very strong connotation with “murder” and/or “manslaughter”. In the Book of Numbers, the passage describes the judgment and distinction between one who lies in wait to vs one who without deliberate malice or premeditation kills his fellow man. For the latter, a provision is given, a city of refuge. A safe haven for which one guilty of manslaughter may remain and be safe from the “avenger of blood”. However, for one who murders, no such providence is given. It is interesting to note that there is in fact a role of the “avenger of blood”. A role which is incompatible with an interpretation of “though shalt not kill” in the broadest sense as opposed to thou shalt not murder. Furthermore, why would there be a provision of a city of refuge if any killing of a fellow man was wrong. That interpretation would condemn accidental manslaughter. If an individual dressed in black jumped in front of your car at night, you’d be condemned under such an interpretation. That is why most rabbinical scholars believe the law to be more aptly translated “thou shalt not murder”. Furthermore, there are in fact instances in which God commanded the Israelites to kill. These included certain breaches of laws, and certain tribes. Some have struggled with understanding why God instructed the Israelites on rare occasion to wipe out their enemies, every man, woman, child, and beast. It’s a hard pill to swallow along with a belief in a loving Creator God. The understanding that I have, is that in those rare instances, it was because that particular tribe was infected with disease. And it was to ensure that the disease did not spread. Similar to having to put down a pet because of rabies or feline leukemia – it doesn’t mean you don’t love the pet. But you know they’re going to die anyways, and letting them live may harm others. So what do we come away from this understanding? Murder being an unjustified killing, by one lying in wait, with deliberation. Society was instructed to put these sort of people to death. Our society at present suffers, because we have to great a tolerance for such individuals. Even if you oppose the death penalty, all should agree that such individuals should never be released back into society to repeat their crimes. QUESTION II: What does Scripture say about self-defense? This would appear to be very straightforward. Call it God’s recognition of Castle Doctrine; now if only the Commonwealth of Pennsylvania would recognize such a fundamental truth. Defending your home is not viewed as a guilt upon the defender. There are some other aspects to this rule depending on whether it’s day or night. Essentially, at night one could deem any such theft a threat. Where as during the day, there was some obligation as to whether the individual was indeed a threat before one could be justified in killing them. Lamech was clearly not at his abode. He was out and about when he encountered a young man who wounded him. Lamech defended himself, which lead to the other man’s death. Scripture seems to make it clear that defending ones self, both in and out of the home, is not viewed as a condemnable event. QUESTION III: Can I use force to protect others? Abraham, the gang buster. Okay, so don’t try this unless you happen to have a small private army. Abraham utilized force in order to retrieve his nephew. In fact, the Bible even teaches about “reloads” in 1 Samuel 17:40 “[David] chose five smooth stones out of the brook, and put them in a shepherd’s bag”. He knew Goliath had four other brothers. He carried reloads. QUESTION IV: But I’m a Christian. That’s all Old Testament…don’t we worship the God of the New Testament? First off, there is a poor mis-conception in Christianity that God is somehow different. Hate to break it to you, but He is one and the same God. While certain passages may be difficult to comprehend. Realize that the Old Testament repeatedly documents mercy, forgiveness, kindness and love. Just read the Book of Jonah. In which a prophet who despises a mean neighboring nation is informed by God that he loves and cares for them. And wants to have mercy on them. And just read some of judgments in the New Testament be it from Revelation or the deaths of Anais and Saphira. God never got out of the judment business. Rather, he offered everyone a pardon if they chose to take it. The most challenging of the passages is found in Matthew chapter 5. Let’s address that first, because that is a far easier passage to deal with. First off, the offense here is not one of mortal danger. Rather, it is one of insult. Akin to the Renaissance period where one might remove their glove and slap another man across the face. We are instructed to offer the other cheek. And frankly, anyone who carries concealed needs to take this passage to heart. Many a man has found himself in a brawl because he chose to protect his pride and ego. Men have both died and killed for personal insult. If you choose to carry a firearm, you need to set the ego aside. Regarding pride and insult. To be slapped across the face is not a matter of self-defense; rather it is a matter of insult. And it is wrong to kill a man for merely insulting you. QUESTION V: Aren’t Christians opposed to the use of force? Luke 22:38 “So they said, “Lord, look, here are two swords.” And He said to them, “It is enough.” Why would he have instructed the disciples to bear swords. If he did not understand the need for self-defense. At a minimum, this is pretty de facto evidence for the use of non-lethal force. First off, in this very passage, we receive the answer for their putting down of swords. This event was pre-destined to occur. It had to happen that way. The second aspect “of perishing by the sword” may actually refer to that given moment being a warning to both sides not to take up arms or it would result in their deaths. Let us take a broader scope of the words as a statement that “violence begets violence”. One must take not that the situation at hand was one of Peter instigating violence. Peter initiated an attack, when his life had not been threatened. This is a very important insight. One should not go looking for trouble nor instigate violence, such will get you killed. If you decide to walk into a gang ridden neighborhood and starting shoot drug dealers, you’re probably going to get yourself killed. Proverbs 6:30 says “Men do not despise a thief, if he steal to satisfy his soul when he is hungry”, while it goes on to say that such a man is obligated to restore 7 fold. There are different types of crimes. There are those in which a man is merely a predator preying upon the weak and unsuspecting. Pure unadulterated evil. And there are those of desperation. Stealing of food to feed one’s starving family. They are not the same soul. When I was young, some one broke into our basement and robbed us. It occurred a few weeks before Christmas. They stole nearly $200 in meat and food from our freezer. But they left my bicycle and numerous other items untouched. Were I to catch such a criminal, I would not shoot them. I’d probably tell them to come back tomorrow, I have some work for them to do. If they come, I’ll give them some more food, and they can work off what they stole so that their conscience can be clean. Interesting that one of the criticisms that God levied against Israel in the above passage was a failure of the people to be armed and ready to defend themselves. America must be careful that we do not find ourselves in a situation where a firearm cannot be found amongst 40,000 people. Final thoughts from a personal perspective. I’ve always been pro-gun, but for the longest time I did not own a firearm. I am pretty affirmed in my faith, and I saw little reason to trade my life for anothers. Especially one who I believe might really need some salvation (ie: murderer). But when I became a husband and a father the perspective changed. Now it was not just my life, but the life of my loved ones that I had need to protect. It was time for me to own a gun. Lastly, there is a passage in Scripture that talks about seeing wrong doing, and doing nothing about it being wrong. I can’t remember the verse reference. If anyone recalls it, please email to me. Thank you. Here is an additional perspective on the matter. I discovered it after writing my post. But I believe the author came to similar conclusions as to myself. I was recently asked about “recognizing when to, and not to, (also who to) speak openly about gun ownership in a religious setting”. This can be a challenging hardship for one of faith. I have found that many people do not know their own Scriptures. They hold on to traditions of thought very strongly, revealing a Scripture that speaks otherwise will have little effect other than to upset such individuals. For individuals of said mindset, there is little you can do to alter their view or perspective until a horrendous event adjusts their perspective. Trying to get into a rational argument with such an individual will simply put them off. If you sense that someone falls into that demographic. It’s best to just let the topic drift and move onto other discussions. That said, do not expect all church goers to hold to the interpretation that “guns are evil”. Many hunters and church goers across America, are the same people. Strangely, I’ve actually found many pastors to be much more friendly to firearms than their congregations. About a year later I lightly touched upon firearms while with my pastor and another pastor within the denomination. The other pastor mentioned he really liked shooting the 40S&W. Next thing I know, I’m chatting about guns with two pastors. Turns out the other pastor actually owned a 40S&W. So how do we come out of the closet as gun owners? A couple of suggestions I have for this. First off, be knowledgeful. Be able to provide every man (or woman) an answer. Why do you own? Why do you carry? Second, be responsible…be safe…be polite! People are much less afraid of knowing you own a gun if you are always polite, respectful – the type holding the door open for everyone at church and taking out the trash. A gun in the hands of a “good man” is far less frightening. You just started the conversation off from a “playful” spectrum, rather than the nitty gritty. You’re already ahead of the ball, and can start to gauge reactions. Get a sense for who is offended, who is polite about it, or who’s ears and eyes perked up with interest at the mere mention of such a thing. Have your answers, be able to provide them. But don’t try to win an argument. Doing that will back them into a corner. That’s not our goal as gun owners. Lastly, be evangelistic, offer to take them out shooting. Maybe that’s too far. Especially for someone who dislikes firearms. Instead, offer to teach them how to check and disarm a firearm. Explaining it’s good knowledge, even if they don’t like guns, to at least know how to disarm them and make sure they’re safe. Just in case one is ever found or brought to them. The mere act of seeing them mechanically can help to lessen fear. Changing the perspective of a gun from a “symbol of death” to merely a “tool”. Who knows…maybe you’ll find a handful of closet gun owners, and next men’s fellowship finds itself at the local range. See the next post for some expository on Scriptures and self-defense. He had a Gun, she had God! 7 of 11 guns have been recovered after being stolen from a police department in Mississippi Delta. Just goes to show that even if we banned guns and only the police and military had them. The criminals would still be armed. There has been much in the news regarding the increased sales of firearms. What is often not mentioned is the fact that many of these sales are new sales, first time buyers. And many of those are women. Our society often portrays firearms as the tool of men. But in reality, they are the equalizer. There is a saying “God made men, but Colt made them equal.” The meaning of that saying is that prior to the firearm, an individual’s strength is what gave them power. It was also what enabled them to overpower another who had less strength. The firearm is a tool that allows a physically weaker individual to defend themselves against a physically stronger one. Sadly, a situation which many women have found themselves in. I wanted to provide some information and resources specifically for my female readers. ProArms Podcast is a roundtable discussion by a number small arms experts. In August 2008 the ladies on the show did an all women podcast focused on topics and questions of interest to women. A lot of information concerning firearms, training, etc is relevant to both men and women. But there are a number of aspects that are different. For example, holsters and carrying concealed. Women have hips…men don’t. This makes for a difference in how a holster fits. And many holsters and carry positions that might be comfortable for a man, can be very uncomfortable for a woman. The above items are just a few resources to get people started. There are many others to be found. In fact, I even found a magazine called Women & Guns dedicated to women and guns. Now, I don’t know much about the magazine or it’s quality. I am just putting it out there to show you what type of resources exist. One of the biggest barriers that woman face when entering the world of becoming a gun owner, and taking responsibility for their own protection and the protection of their families, is the aspect of feeling alone. Realize that you are not alone. There are between 12-17 million women or even more in America who own firearms and protect themselves. However, most of the time people are oblivious to the fact. People usually don’t go touting that they are a permit holder and are carrying a fire concealed. The whole point of carrying concealed is concealment. So how would you ever find out that the girl sitting next to you was carrying a .38 special? Sometimes there are hints that shooters drop now and then if they think someone might also be interested in guns. Occasionally, an individual is a bit more open about it, being an advocate – I fall into this category. It’s a compromise. In order to be an advocate I must share and reveal more than I would like to, but I do so for the purpose of advocacy – to encourage people to take responsibility for themselves and their family’s well being, and to protect our communal rights to live safely. The topic of gun ownership will often come up when a friend is or has been in a situation in which there was a risk of personal harm. Such as the drunken ex-b/f with the restraining order, having been raped, assaulted, robbed, etc. It is at these times that ordinary people who prior walked around feeling safe, realize that they had simply, up until now, been lucky. They find themselves full of questions. Will it happen again? How can I be safe? Why? It’s the realization that when in an emergency situation where seconds count, the police are only minutes away. That realization is something akin to taking the “red pill” and seeing the Matrix for what it is. Now I am not advocating that everyone get a gun. Truthfully, it’s not for everybody (if you’re a felon or irresponsible individual…please do not buy a gun). But if you are a responsible individual who takes personal responsibility – than I think you should at least consider the merits of gun ownership. And if you do, I also suggest investing in some professional training. 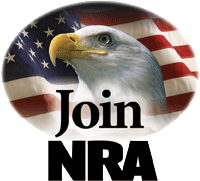 The NRA offers a number of courses that go from introductory, all the way to defense of the home and carry outside the home. Do they come from our local gun shops? The Mexican military? Or our own military? (U//LES) In November 2005 a gang member and active duty Navy service member in California was discovered in the possession of firearms and bullet-proof vests, and is suspected of distributing stolen firearms and hand grenades, according to uncorroborated FBI source reporting. Washington times re-iterates much of the myth but if you actually stick through until page two they do a fairly decent job of mentioning the opposition viewpoints. Quoting Fox News statement that the U.S. is responsible for less than 17% and not 90%. It’s a step in the right direction. Ironically, many of the guns the drug cartels are using came from the last time we gave the Mexican government military aid and arms. We trained elite units to combat the drug cartels and entire units switched sides to the drug cartels. In fact, Mexico has been experiencing extremely high levels of desertion from their military. Thousands and thousands of soldiers deserting every year. Often with their arms; only to be employed by the drug cartels. This would have little effect on the situation in Mexico. As many of the firearms are not semi-automatic versions but fully automatic battle rifles. The drug cartels are not weilding AR-15 rifles. They’re wielding fully automatic M-16/M4 rifles, rocket propelled grenades, mortars and more. These are not weapons you can just pick up at any mom & pop gun dealer. Yes the media seems to continue to perpetuate the myth that Mexico’s problems of violence are America’s fault. The U.S. hasn’t ratified this treaty though many South and Central American governments have. But this has done little to stop the influx of fully automatic battle rifles entering Mexico from South America. It’s also rather ironic that while conservatives have been begging for border control for several years now. That this has been a policy rejected by most of the Democrats. And yet it would aid in the reduction of drug, firearm and illegal immigrant traffic. Instead, they want to take away the rights of citizens. I fully object to illegal aliens illegal activities being protected, while my Constitutional rights are infringed and restricted.